Norwegian Cruise Line has added a series of one-night cruises to Norwegian Gem's winter 2013-2014 schedule. Gem is one of two Norwegian ships based in New York City. While she has done some very short cruises in the past, she usually does longer cruises of between seven and nine days. To find out what the short cruise experience is like on Gem, I sailed with her on a one-night cruise from New York in November. 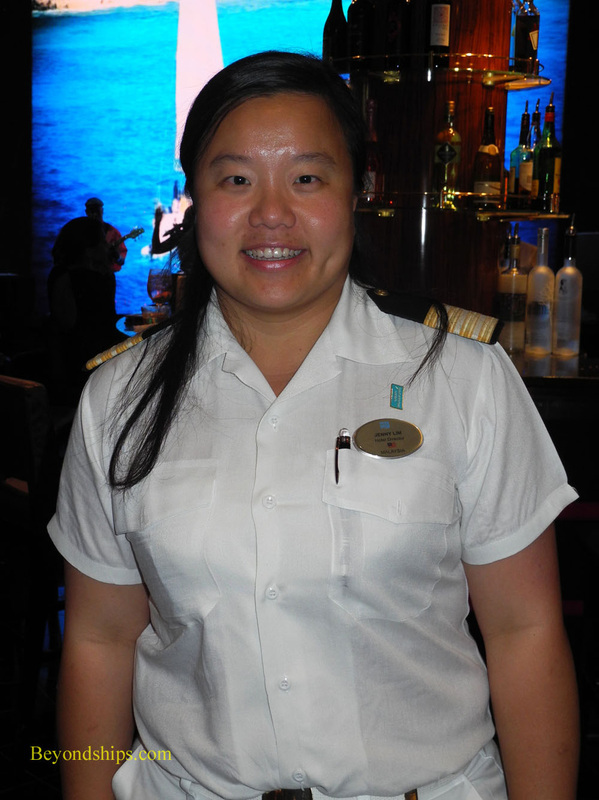 During that cruise, I also spoke with Gem's Hotel Director Jenny Lim to get her insights on Gem's one night cruises. Traditionally, the reason for having cruise ship do a one or two night cruise has been to fill in gaps in the ship's schedule. A cruise ship cannot just head-off to a set of ports and hope there is a place to dock when it arrives at each port. Instead, the ship has to reserve a berth in each port in advance. If the ship cannot get berths in the ports it wants to go to on the days when it wants to be there, it creates a gap in the schedule. One way to fill that gap is by doing a short cruise to nowhere. To illustrate, suppose the cruise line wants a ship to do a series of seven day cruises that calls at ports A, B, and C. However, at one point during the season, it cannot get a berth in ports A, B and C until eight days after the previous cruise. One solution is to do a one day cruise between the two seven day cruises. Another reason for doing a short cruise is to change the day of the week on which the ship embarks passengers. Suppose that a ship has been doing a series of seven day cruises that embark on Fridays. The cruise line decides that it would be better if the embarkation day was Saturday. If the ship does a one day cruise, it would shift the embarkation day to a Saturday cycle. An increasingly important reason for doing a short cruise is marketing. A short cruise provides an opportunity to introduce the ship to people who have not cruised before or who have not cruised with that cruise line before. On this cruise on Norwegian Gem, had a higher proportion of first time cruisers than Gem usually join Gem for its longer cruisers. The cost of a short cruise both in dollars and in time is not that much to risk so people come aboard to find out whether they like cruising and/or the ship. However, that does not mean that there were no experienced cruisers onboard. People who are familiar with a ship can come aboard for a short cruise and immediately pick up where they left off on the last cruise. They know where everything is located, they know how that cruise line operates, and they may well know the ship's officers and crew. As a result, a short cruise can provide a quick reprise of their previous cruise experience. A short cruise also provides a way of lengthening a cruise. Some passengers will book the cruise either before or after the short cruise. Thus, some of the passengers on this short cruise were staying on for the nine day cruise that Gem was doing immediately after the one day cruise. Looking around the ship, I noticed that most people were traveling as couples. One night on the Gem provided a cost-competitive alternative to dinner at a New York restaurant, entertainment and a New York City hotel. In addition, it was much more convenient to get from one venue to another than trying to get around in the City. “Surprisingly, we do not have that many kids aboard. The [last] one night cruise that we did was in mid-January and we did get quite a few families with children. For this cruise we have only about 122 guests below 18 years old." One thing that was immediately apparent upon boarding the ship was that the passengers were eager to begin their cruise. Few wasted time unpacking, rather they were out and about exploring the ship and using its facilities much more quickly than passengers normally do on a longer cruise. 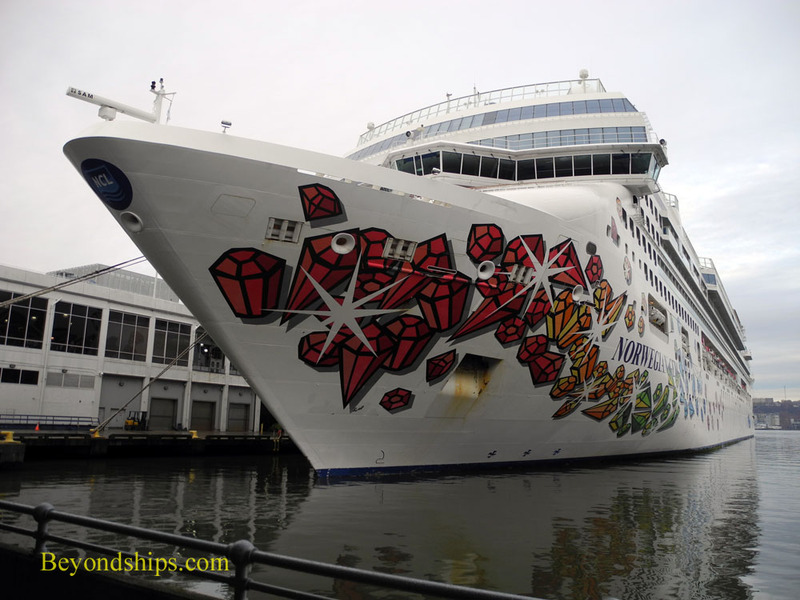 In many ways, the short cruise was a concentrated version of a regular Norwegian Gem cruise.